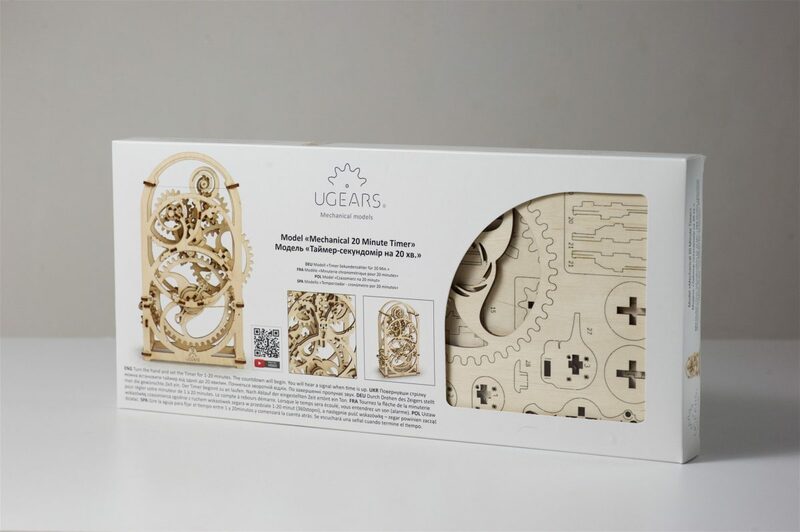 UGears Timer Model is one of most original, exquisite and refined UGears puzzles. 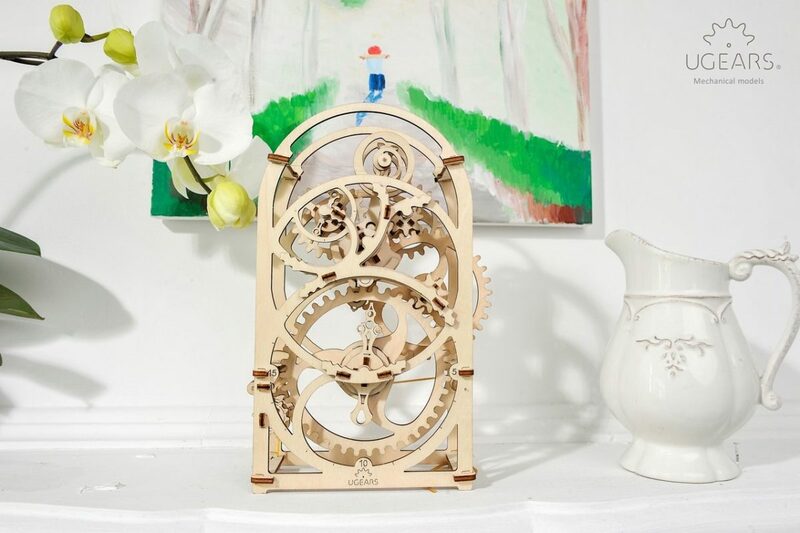 This elegant mechanical device can count down from 1 to 20 minutes. 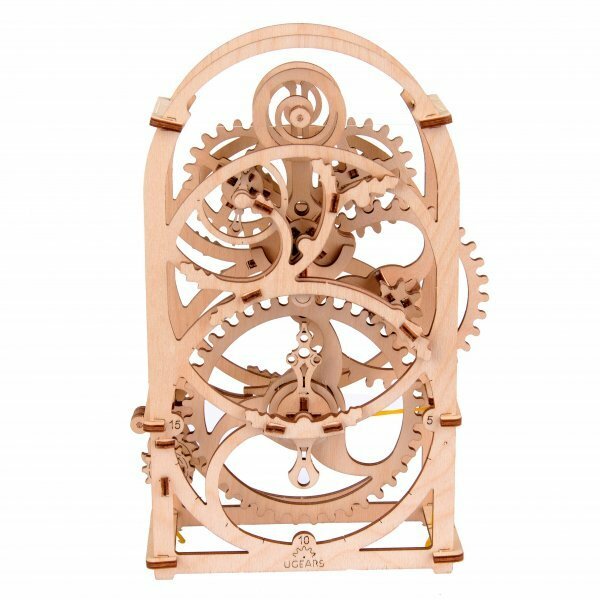 Just set the Timer’s rubber band powered hand, wind the alarm, and watch the delightful clockwork ticking away in a relaxing rhythm. 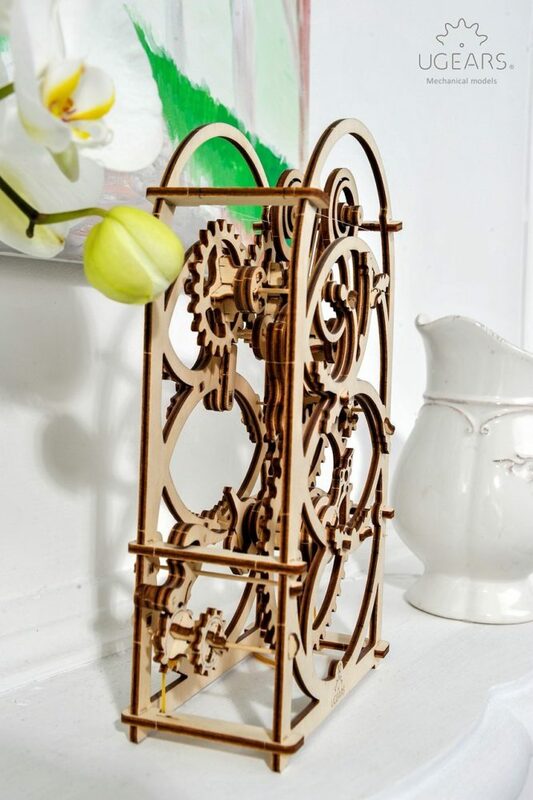 This beautiful meditative timepiece adds sophistication to any room! UGears 20 Minutes Timer has a unique roller pendulum and an amplitude adjustment system on the back wall. 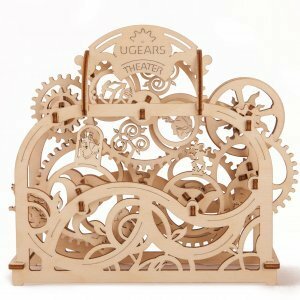 This UGears Timer model underwent several improvements to finally achieve its recent perfect shape. 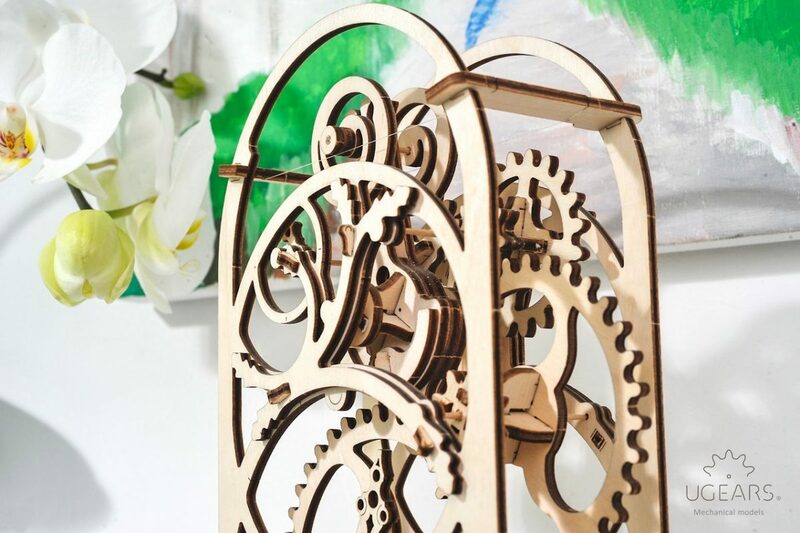 Now everyone can build this amazing clockwork mechanism, equally fit for both work desks and living rooms. 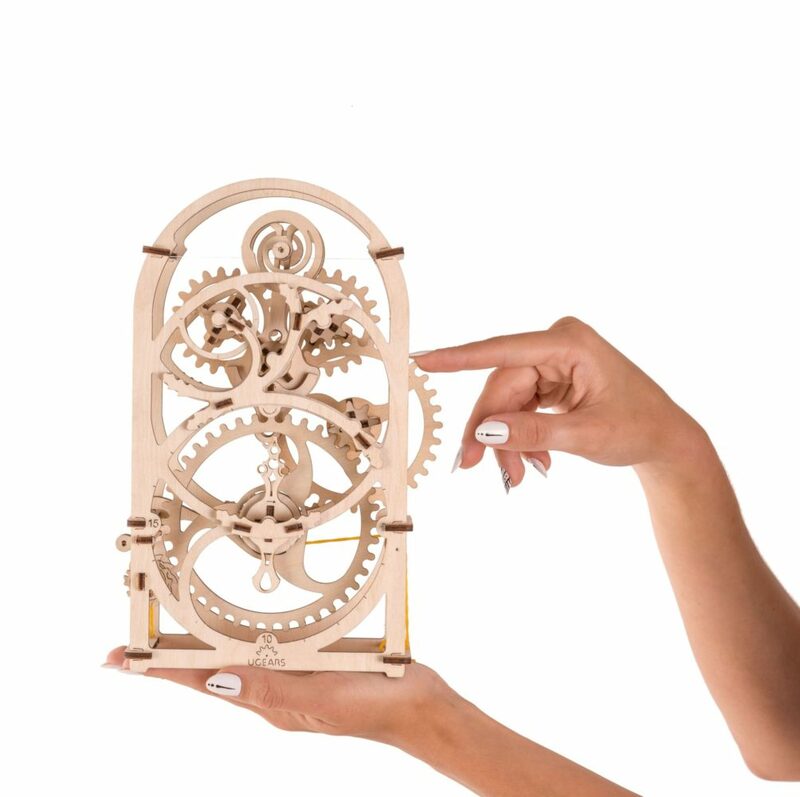 Finally, an intelligent kind of puzzle! 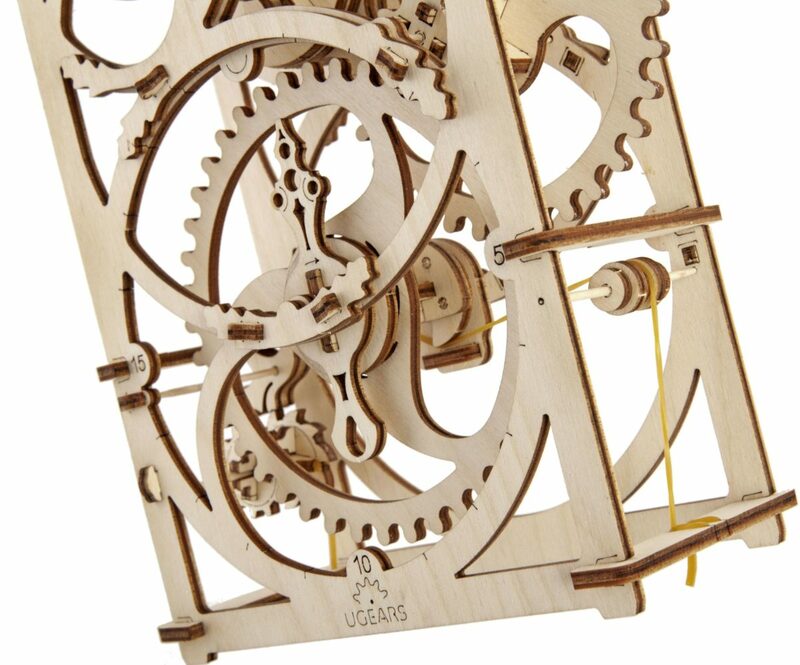 I bought a ugears timer model for my son because I always try to select activities and toys that motivate him to think and will help develop logic. 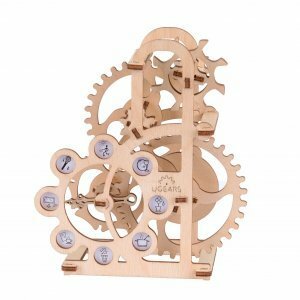 David enjoyed putting this puzzle together and also was pleased to discover that he can use to for his mental math exercises. 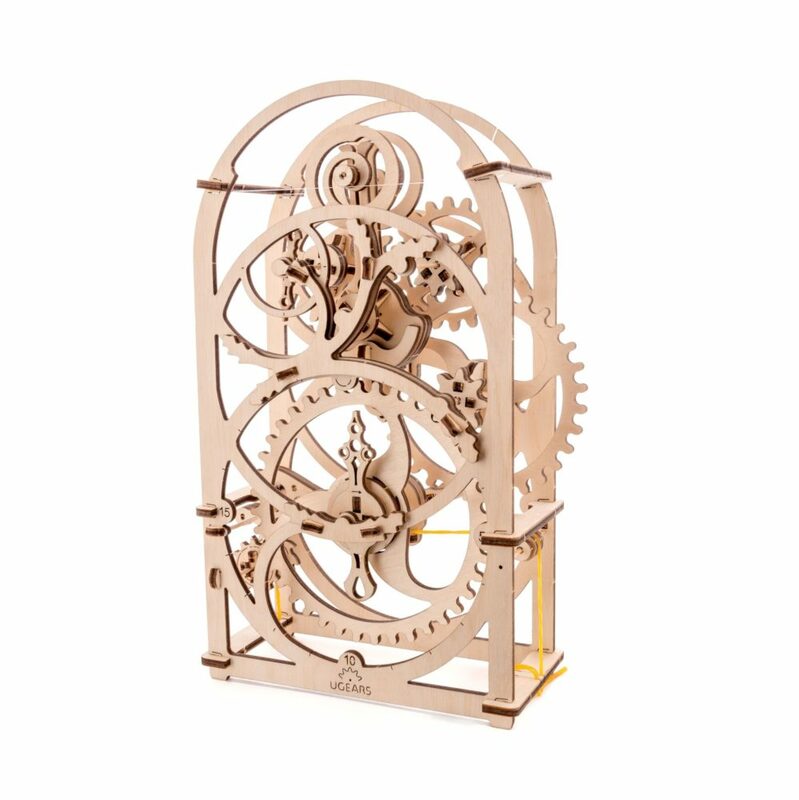 I bought ugears clock model to try as my brother told me how fun it was. 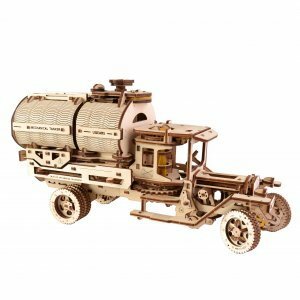 It was worth the money, really cool and neat thing. 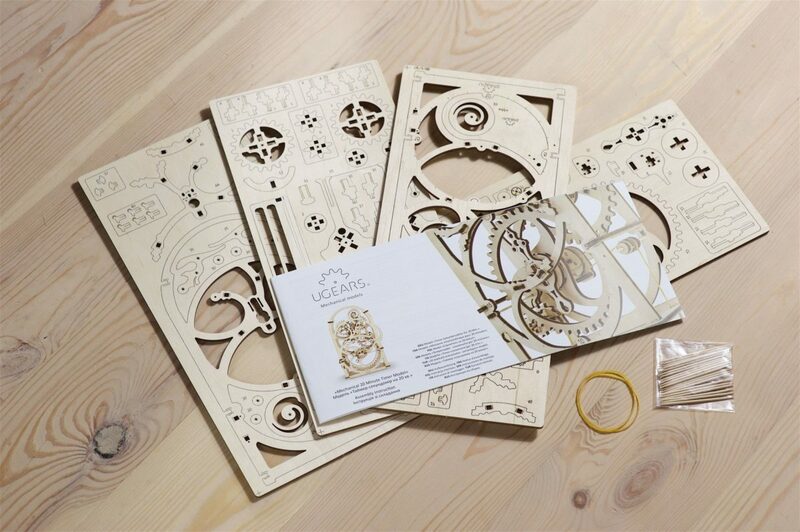 I liked the instructions with pictures and also that it can be used after I put it together. 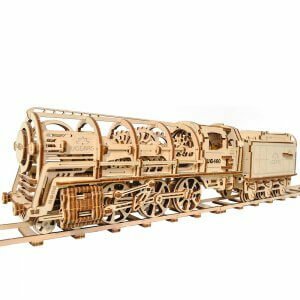 I went on the website and found many more similar models that also look cool.